Watch any TV cooking show, and you’ll notice that a chef’s kitchen looks quite a bit different than what you’d find in most homes. But, that doesn’t mean you can’t have one just like it in your home! With a little remodeling, and splurging on some new items, you too can have a kitchen worthy of Gordon Ramsey, Jamie Oliver, or Rachel Ray. Chefs love counter space. So, when remodeling, plan to create as much as possible. 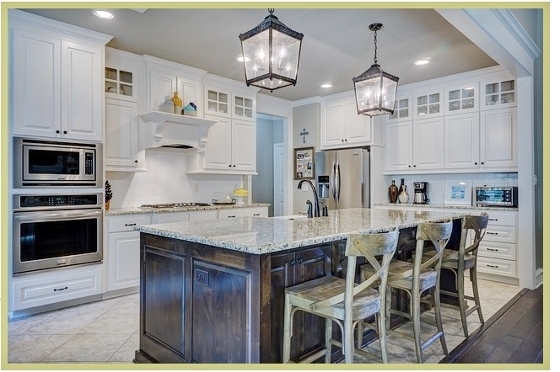 If you have an existing island, for example, you can replace the countertop with a larger one. Just adding eight inches in both directions will make a big difference. Most chefs have more than one oven. If that’s impractical for you, consider buying a double-oven stove. Also, chefs prefer gas burners for quicker heatup times and exacting control of cooking temperature. One thing you’ll notice about chefs is they love stainless steel. That’s because it’s easy-to-clean, hygienic and durable (assuming you take care of it). Finally, because chefs spend so much time in the kitchen, they want the space to be attractive and comfortable. So, when remodeling, keep decor in mind. Even if you’re just an amateur chef, creating a chef-worthy kitchen will make the foodie in you smile.